Background/Purpose: To examine immunomodulatory medication use for youth with systemic lupus erythematosus (SLE) during their first year of care. Methods: We conducted a retrospective cohort study using administrative claims for 2000 to 2013 from ClinformaticsTM DataMart (OptumInsight, Eden Prairie, MN) for youth ages 10-24 years with an incident diagnosis of SLE (≥3 International Classiﬁcation of Diseases, Ninth Revision codes for SLE 710.0, each >30 days apart). We determined the proportion of subjects filling a prescription for an immunomodulatory medication, defined as hydroxychloroquine or an immunosuppressant (excluding glucocorticoids), within 3, 6, and 12 months after the first SLE diagnosis code (index date). We used a Cox proportional hazards regression model to examine associations between time to immunomodulatory prescription fill within 12 months and demographic and disease factors (age, race/ethnicity, household education level, region, history of seizures/stroke, history nephritis). Results: We identified 650 youth with an incident diagnosis of SLE. In the 12 months following the index date, 511 (79%) of youth had a prescription fill for an immunomodulatory medication. For those with a prescription fill for hydroxychloroquine in the first year (n=457, 70%), 374 (58%) and 407 (63%) of youth filled the medication within 3 months and 6 months from the index date, respectively (Table). For those with a prescription fill for an immunosuppressant (n=221, 34%) in the first year, 114 (18%) and 162 (25%) of youth filled the medication within 3 months and 6 months from the index date, respectively (Table). Location in the Northeast region was significantly associated with a longer time to immunomodulatory prescription fill within 12 months, compared to location in the South (HR=0.69, 95% CI 0.50-0.94). There were no statistically significant associations for the other demographic and disease factors. Conclusion: Among youth with newly-diagnosed SLE, hydroxychloroquine use is prevalent although not universal, and immunosuppressant use is notably low during the first year of care. As poorly controlled SLE disease activity can lead to organ damage, further work is needed to identify potential factors contributing to suboptimal immunomodulatory medication use in this population. Immunosuppressant medications include: mycophenolate mofetil, azathioprine, leflunomide, methotrexate, tacrolimus, and oral cyclophosphamide. Disclosure: A. M. Davis, None; M. S. Klein-Gitelman, None; J. Faerber, None; H. Katcoff, None; Z. Cidav, None; D. Mandell, None; A. M. Knight, None. Davis AM, Klein-Gitelman MS, Faerber J, Katcoff H, Cidav Z, Mandell D, Knight AM. Immunomodulatory Medication Use for Youth with Newly-Diagnosed Systemic Lupus Erythematosus [abstract]. Arthritis Rheumatol. 2018; 70 (suppl 10). 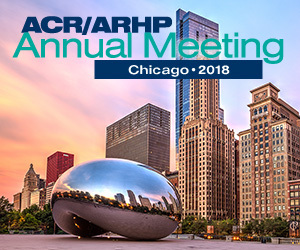 https://acrabstracts.org/abstract/immunomodulatory-medication-use-for-youth-with-newly-diagnosed-systemic-lupus-erythematosus/. Accessed April 18, 2019.